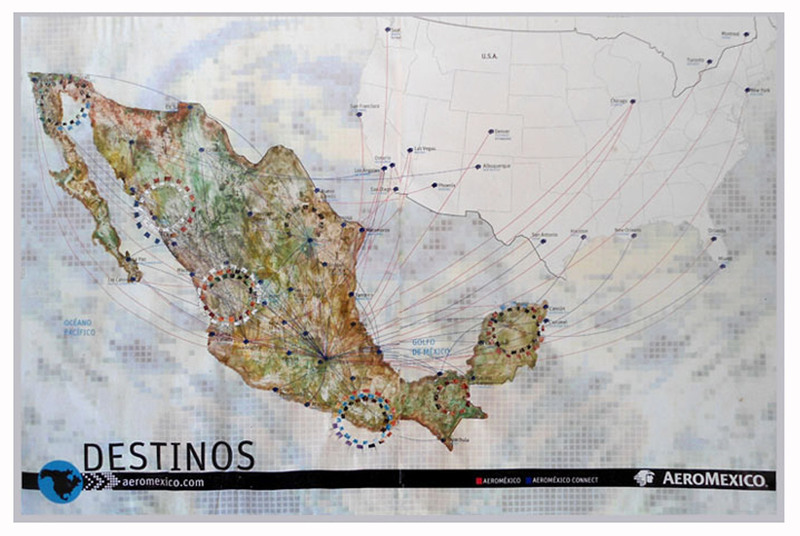 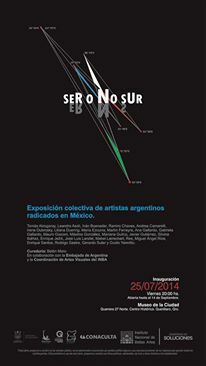 “These maps force us to question our contemporariness. 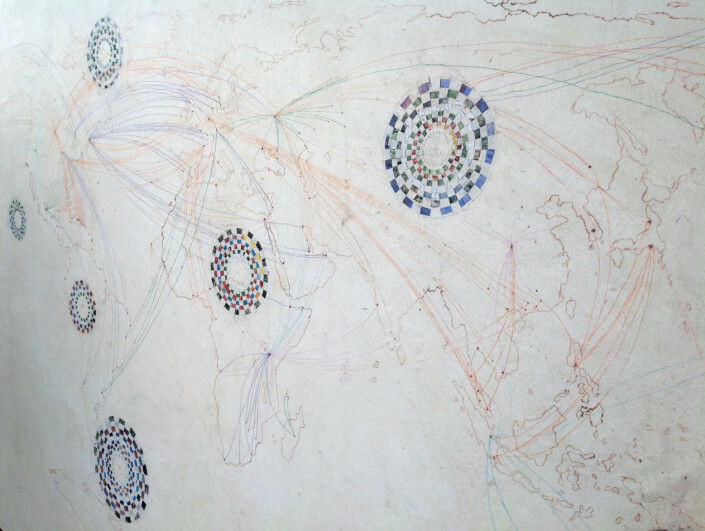 In this way Dubrovsky claims the information, such as the airline routes, then denounces and demonstrates the fact that the South is no longer a geographical category but rather a condition of the community. 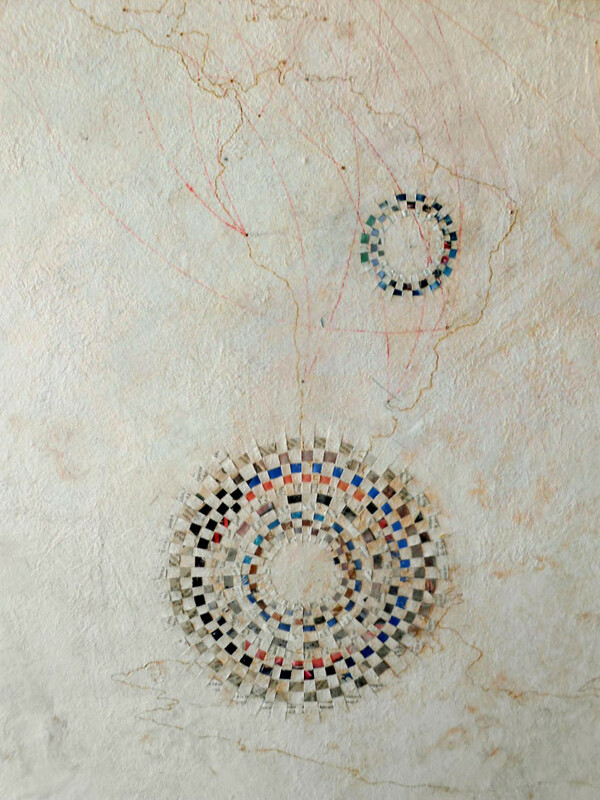 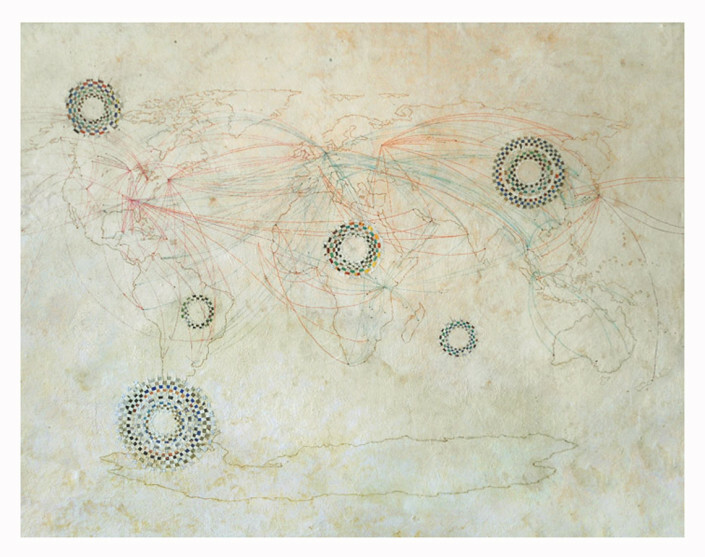 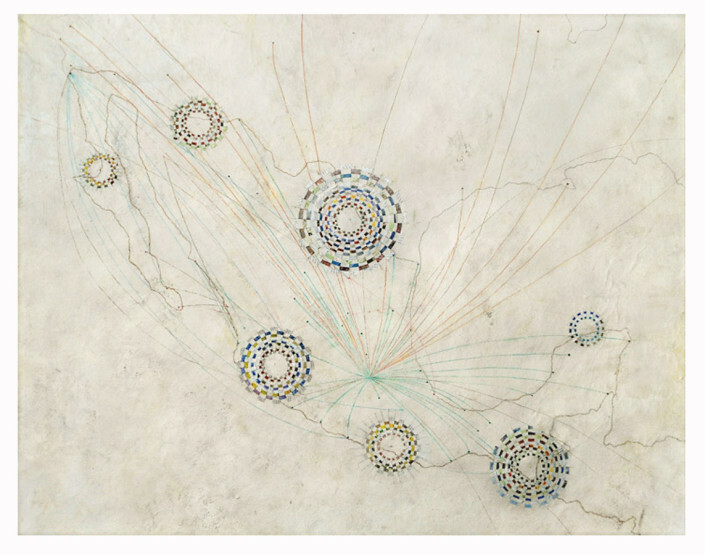 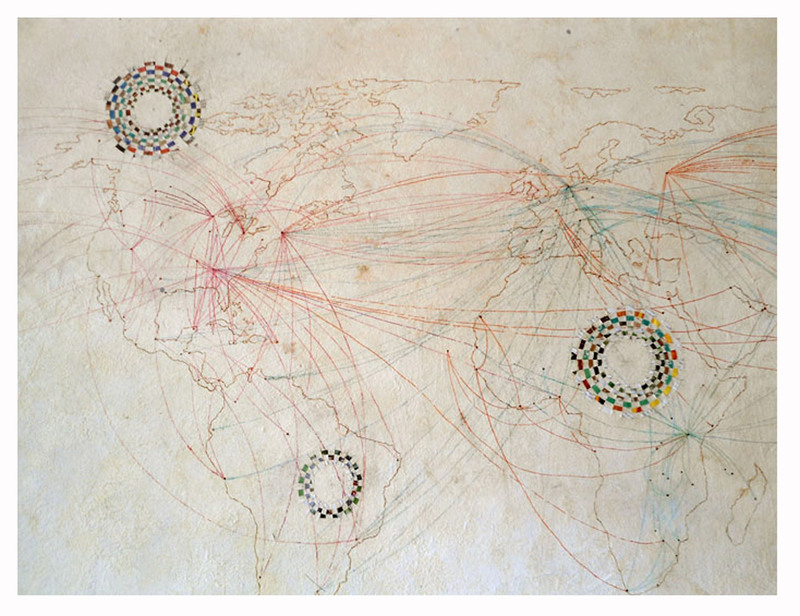 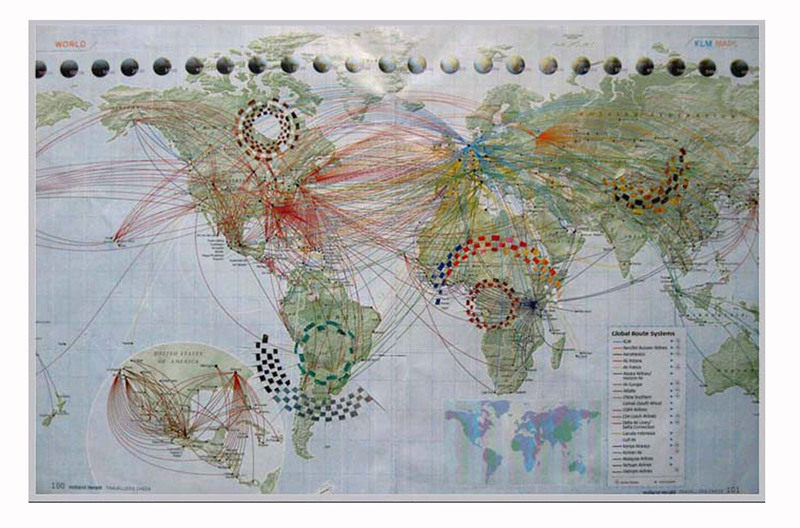 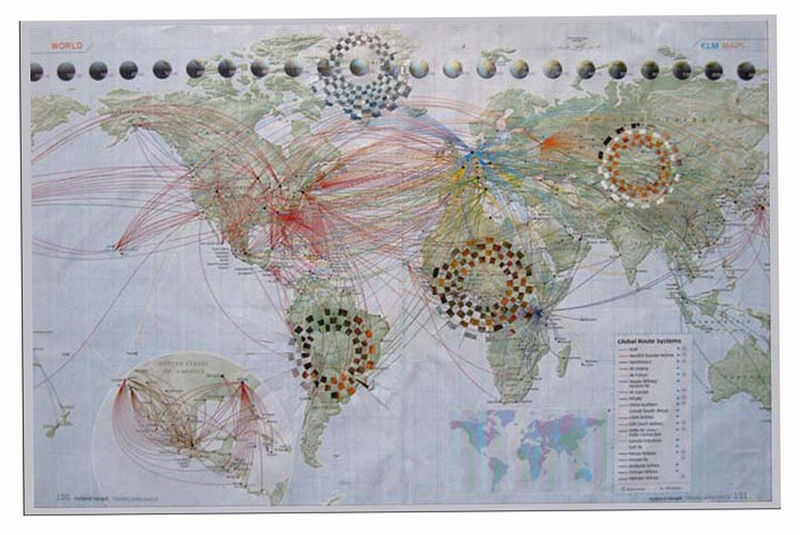 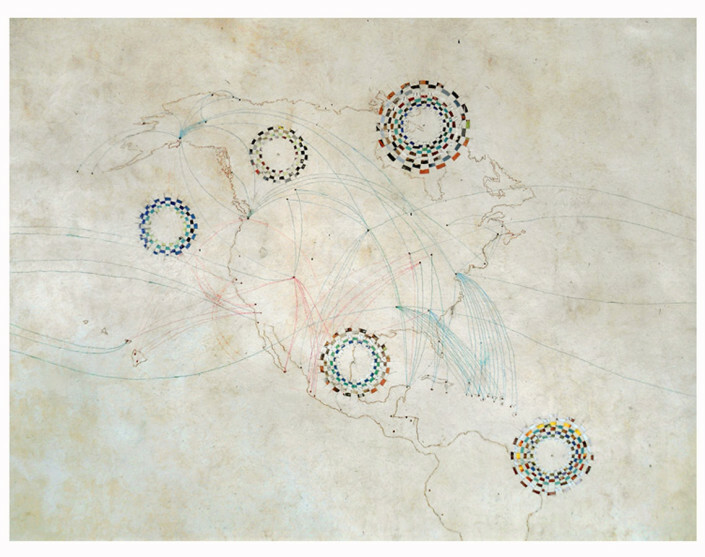 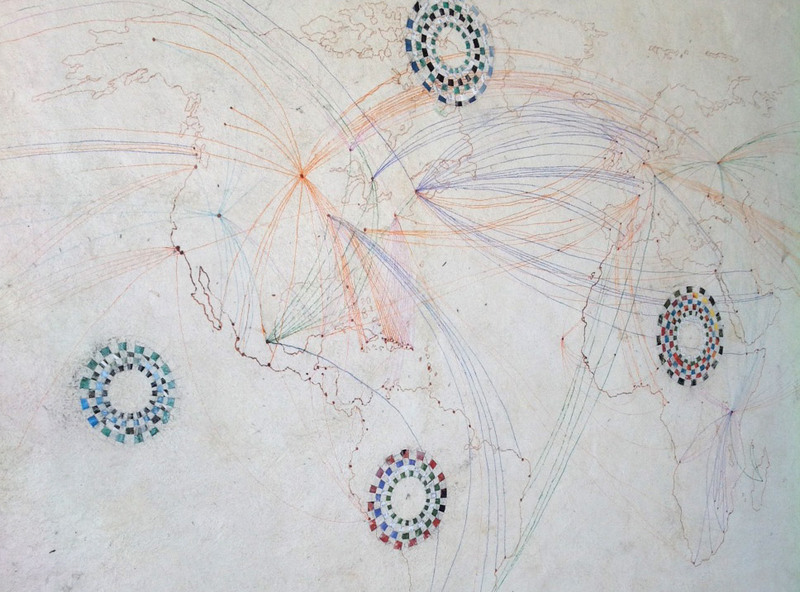 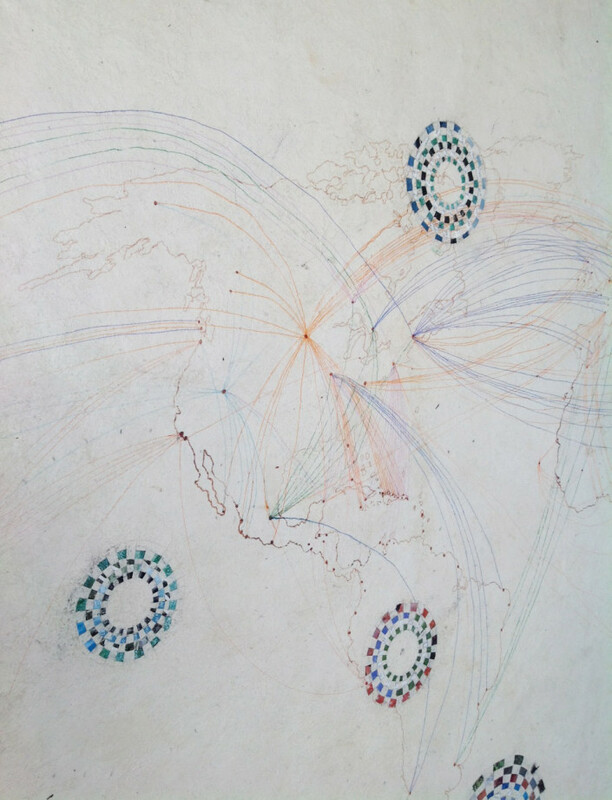 She graphically highlights the zones of the planet where communication by air with the rest of the world does not exist, either because these zones have been conserved as a natural oasis or because they have been scorned by the great world economies. 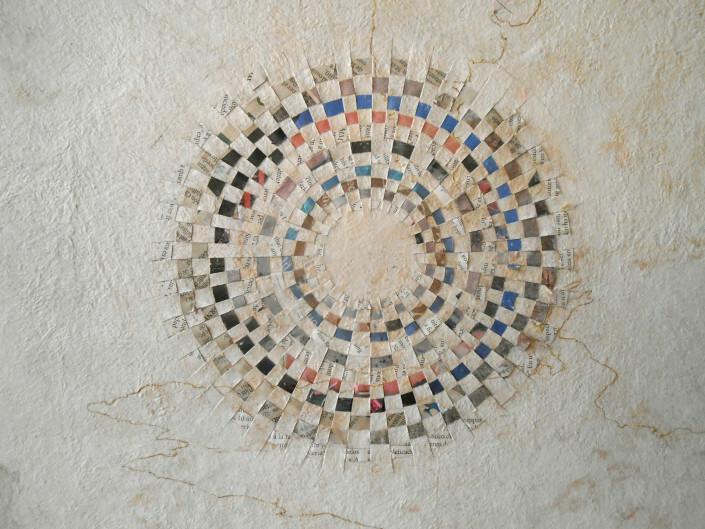 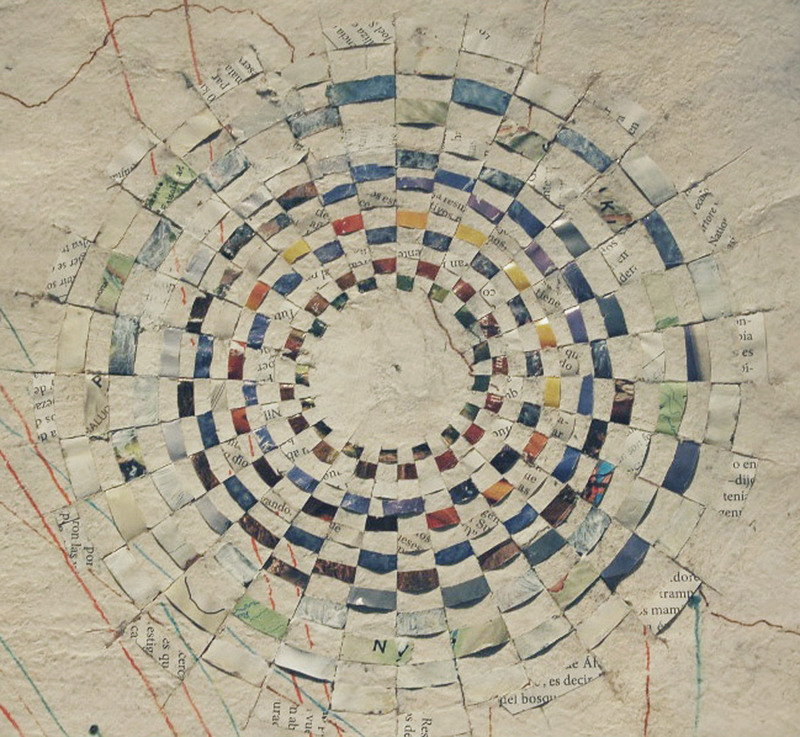 Without a doubt, the work of Irene Dubrovsky is like a great cloth which enfolds and binds and transforms itself into the viewer’s invention, the invention of the other, reminding us that through art we can be better human beings.” Octavio Avendaño Trujillo.